KenKen is the brilliant successor to Su Doku that's taken Japan by storm. In collaboration with The Times, Collins - the no 1 puzzle publisher - are proud to publish it in the UK. 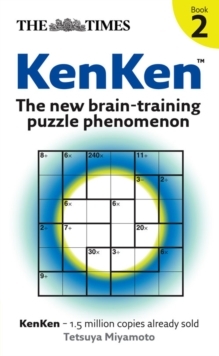 KenKen is a brain-training puzzle based on logic and simple arithmetic. Perfect for all ages and highly addictive, KenKen puzzles challenge and entertain in an entirely new way. The puzzle was invented by a charismatic Japanese maths teacher, Tetsuya Miyamoto in 2004. 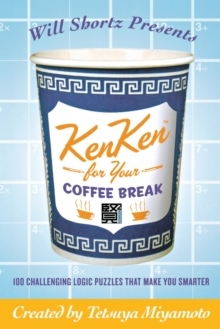 The name comes from `Ken' which is the Japanese word for clever and KenKen translates as`square wisdom'. It's based on simple arithmetic and each puzzle involves some or all of the following skills: addition, subtraction, multiplication and division. As with Su Doku there are clearly defined levels for each type of puzzle from beginner and intermediate to advanced and the puzzles can be on any size grid, from 3 x 3 up to 9 x 9. The puzzles improve numeracy, logical thinking, concentration and perseverance. Can you KenKen?